It’s different when you have a poster. The movie that exists only in your imagination is now a step closer to reality. Even if it’s a tiny step…it’s something tangible, something you can show to folks. When you are a solo filmmaker, the natural tendency is to concentrate your effort on making the film itself. After all, you only so much bandwidth. In a perfect world, you manage to strike a balance among all the tasks: researching, writing, filming, gathering archival visuals, rights negotiations, fundraising, and raising awareness through promotional outreach. In the real world, each area jockeys for position and there never is enough time. Seems like promotion is the first task that gets shoved to the backburner. 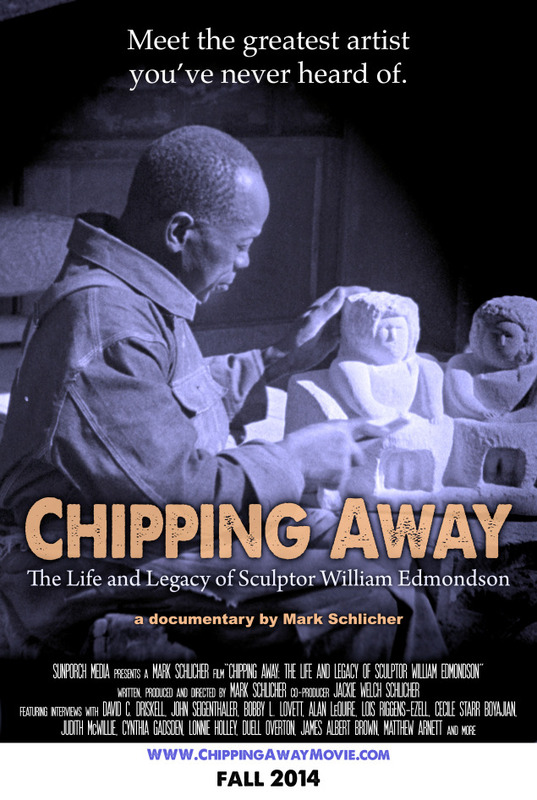 So, we are especially thrilled to — finally — show off our poster for “Chipping Away: The Life and Legacy of William Edmondson.” Please leave your comments below. As for the film itself, we are very excited about our continuing progress. We’ll be posting the latest news in the days ahead.